The snow is slowly beginning to melt and signs of spring will soon be in bloom. But before the buds make their debut, we’d be remiss to go through the month of March without enjoying a dose of nature’s candy: maple syrup. Canada’s ideal climate makes it the perfect place for maple syrup production. In fact, the province of Quebec is one of the world’s largest producers of maple syrup and accounts for three quarters of the world’s output. As the sap begins to trickle down maple and birch trees, this sweet treat will be in abundance. Whether you plan to enjoy it poured over snow for a traditional sugar shack experience or incorporated into some of your favourite recipes as a natural sweetener, now is the time to stock up on all things maple. 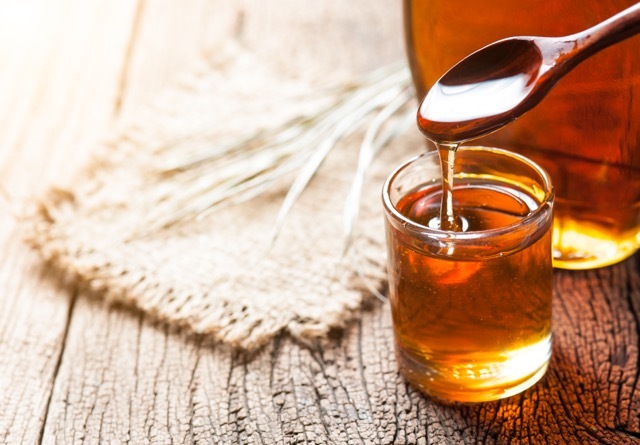 By using maple syrup in your recipes, not only will you taste nature’s goodness but you will also be doing good for your body. With over 54 antioxidants maple syrup is right up there along other superfoods including berries and tomatoes. It is a great alternative to sugar making digestion easier and having a lower score on the Glycemic Index. We definitely don’t need an excuse to eat more maple syrup but this just sweetened the deal! No matter how you use it one thing is certain – maple syrup should be a must on your menu this March.